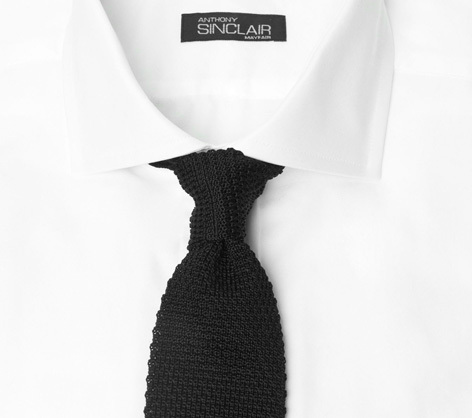 Tailor Anthony Sinclair, best known for providing the suits for Sean Connery in his James Bond movies, launched a collection of knitted neckties in 24 different colours to celebrate the upcoming production of the next 007 film Bond 24. 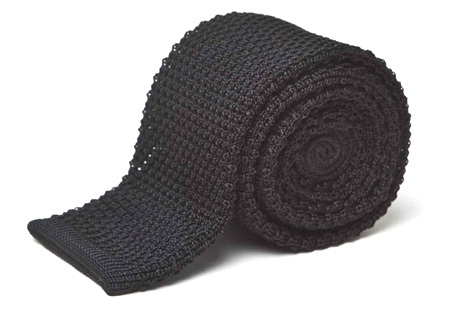 The knitted ties are available online at Mason & Sons, starting at £75. Traditionally worn casually with tweeds and other textured cloth, the knit was famously adopted by Sean Connery in the early Bond films and paired with formal suits by Anthony Sinclair. The trend continued long after Connery had surrendered his license to kill and remains a signature 007 look. The black and navy ties are the most Bond 'style' versions, but the other colors will set you apart from the crowd. David Mason, creative director of the company comments: “Slim, simple and incredibly versatile, knitted neckties are a staple wardrobe requirement. The solid, sophisticated colours are easy to co-ordinate with patterned suits or shirts, but their texture provides interest when paired with plain materials. Whilst black or navy blue will undoubtedly remain the most popular choice, we think that offering a broad spectrum of brighter shades for Spring/Summer 2014 will be fun for seriously well-dressed men”. 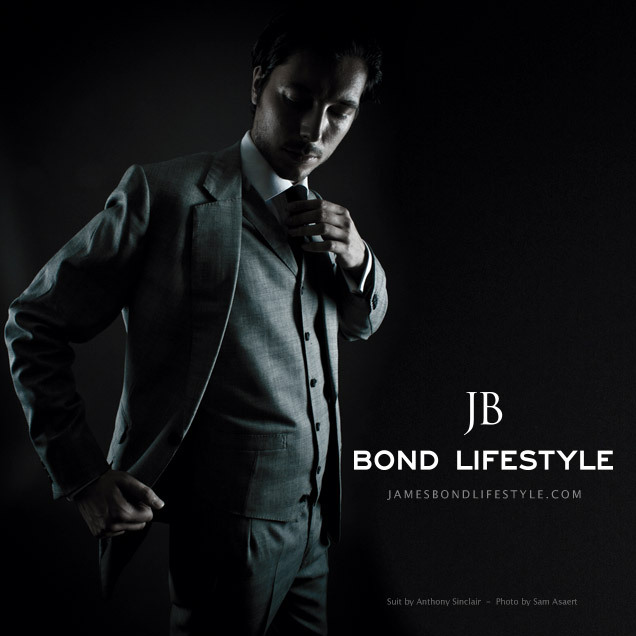 The new collection is available in a range of 24 colours to mark the upcoming production of Bond 24, which is the working title for the 24th film in the James Bond film series. Each necktie is presented in a stylish gift box and prices start from £75 including VAT, available on Mason & Sons (formerly AnthonySinclair.com).